Someone once said that silver was given its bright, white luster so that it could find its way in the shadow of gold. Gold, with its sunny color, wonderful luster, extraordinary durability and workability, and unquestioned value, is certainly a tough act for any other metal to follow. So it’s not surprising that silver has acquired the derogatory nickname of “poor man’s gold”—meaning it is a second-choice precious metal, to be acquired only when gold is unavailable or unaffordable. Although silver has always played second fiddle to gold as a precious metal, it has nevertheless staged a remarkable show of its own over the 7,000 years that it has been mined, worked, coined and hoarded. Throughout history, an estimated 55 billion troy ounces of silver (1.76 million metric tons) have been mined worldwide—enough to fill a cube measuring 1,420 feet on a side that, at today’s price, be worth about 1 trillion dollars. Despite being not nearly as rare, noble or valuable as gold, silver has profoundly impacted human history, economics and culture. Although silver mining is sometimes considered in a historical context, half of all silver recovered throughout history has been mined in just the past 50 years. And in 2016, the world’s silver mines set an all-time annual production record—890 million troy ounces (28,570 metric tons). By 1880, 400 Leadville, Colorado, mines were shipping 11 million troy ounces of silver per year. symbolized the sun, silver’s cool, white gleam became associated with the moon. This distinctive white gleam is a function of the metal’s reflectivity. The most reflective of all metals, polished silver reflects 95% of the light that strikes it. Because the wavelengths of that reflected light are distributed evenly across the visible spectrum, silver has a clean, white color. Silver also has an authoritative “heft” in the hand. Although only half as dense as gold, it is twice as dense as common metals like iron and copper. A bit harder than gold, silver melts at a slightly lower temperature. And its malleability and ductility are second only to gold’s. It is an eminently workable metal. Silver does not oxidize like iron or copper. Because it is sufficiently inert to retain its color and gleam, it is classed with gold as a “noble” metal. But unlike gold, silver combines readily with certain sulfur compounds. Hydrogen sulfide and sulfur dioxide gases in the air react with silver to form tarnish, a thin, black surface film of silver sulfide. Silver occurs in four forms: a native metal, an essential component of silver-bearing minerals, a natural alloy and amalgam, and an accessory component of other metal-ore minerals. Native silver is never pure, but always contains varying amounts of other metals, most often gold, copper and lead. Native silver occurs as flakes, grains, masses and wires, and occasionally in crystallized forms. In a combined state, silver is present in nearly 200 silver-bearing minerals, including sulfides, tellurides, halides, carbonates and sulfosalts. It also occurs as an amalgam with elemental mercury, and most commonly as an accessory component of base-metal and precious-metal ore minerals, notably those of gold, copper, lead and zinc. 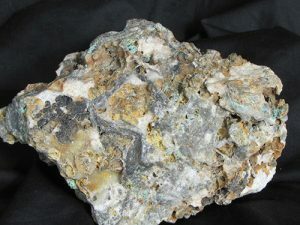 Although native silver has sometimes been mined as a primary ore, most of the metal has come from compound minerals such as acanthite (silver sulfide) and pyrargyrite (silver antimony sulfide), along with argentiferous forms of galena (lead sulfide) and tetrahedrite (copper iron zinc antimony sulfide). Silver was first mined in southern Europe and the Middle East around 5,000 BCE. Anthropologists believe that silver was discovered as metallic masses that had been naturally reduced from rich outcrops of argentiferous galena. Forest fires with the right combination of heat, wind, atmospheric oxygen, and carbon-based fuels would have created chemical reduction environments in which argentiferous galena converted to sulfur dioxide gas and metallic masses of silver and lead. In a subsequent natural refining, or cupellation, process, atmospheric oxygen would have combined with the molten lead to form solid crusts of white lead oxide. The more inert molten silver did not oxidize, but solidified into masses of nearly pure silver. 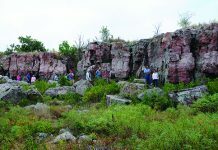 The first silver miners may have imitated this natural reduction process by building fires at galena outcrops. The Roman historian Diodorus Siculus told of ancient fires “that so parched the earth that an abundance of silver ore was melted and the metal flowed in streams of pure silver like a river”. Miners later dug silver ore from surface excavations and shallow underground tunnels, and reduced it in charcoal-fired furnaces that replicated the natural chemical reduction process. As its supply increased, silver became the preferred payment medium in trade among Europe, Africa, and the Middle East. The first large source of silver was Laurium (Lavrion), Greece, where large-scale, systematic mining began around 550 BCE. 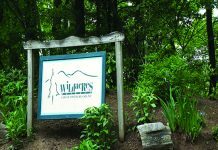 Over the next three centuries, Laurium’s rich silver-lead mines yielded 250 million troy ounces of silver, which became the economic foundation of classical Greece. Silver was even more important to the Romans, who established a broad network of mines, reduction plants, and refineries that greatly advanced the rudimentary science of metallurgy. Most Roman silver came from rich lead-silver deposits in what is now Spain. Roman silver coinage became the standard payment for the silks, ivory, spices and jade acquired via the Spice Route. The Latin word for silver, argentum, derived from the Aryan term for “white and shining”, is the origin of silver’s modern chemical symbol, Ag. Silver mining stagnated after the fall of Rome in the 5th century CE. When it resumed in the 1400s, the rich copper-silver deposits of the Erzgebirge (Ore Mountains), in central Europe, became the world’s leading source of silver. The Erzgebirge mines, which reached depths of 3,000 feet, are mentioned in the classic 1556 work de re Metallica, by geologist Georgius Agricola. Spanish explorers in the New World were about to discover silver in quantities that would defy the European imagination. They initially sought only gold, which was 10 to 15 times more valuable than silver. But in 1545, Spanish prospectors in the Viceroyalty of Peru (now Bolivia) discovered extraordinarily rich silver veins within a conical hill that they named Cerro Rico (“Rich Mountain”). By 1550, these mines, adjacent to the newly established city of Potosí, were turning out 8 million troy ounces of silver per year. The Potosí ores were crushed, mixed with salt and roasted base-metal sulfides, then heaped into sunken patios, where mules trod them endlessly. In this crude milling operation, called the “patio process”, sulfide ores were reduced to metallic silver. This silver was amalgamated with mercury to form “silver sponge”, which was retorted to separate the silver. At the Potosí mines, which relied on forced labor, hundreds of wooden ladders with hide-thong rungs plumbed a 1,000-foot-deep shaft. Shifts of hundreds of Indian laborers, each carrying their own roasted maize as rations for a week in the underground, needed an entire day to descend the shaft. They broke rock with stone hammers, then ascended the ladders bearing 100-pound loads of ore. Despite the primitive mining conditions, Potosí, over 250 years, produced more than 1 billion troy ounces of silver. Just as Potosí began production, Spanish prospectors made another series of silver strikes in the Viceroyalty of Mexico, along a 500-mile-long section of the Sierra Madre Occidental, now known La Faja de Plata (the Mexican Silver Belt). By the early 1600s, Mexican mines at San Luis Potosí, Taxco, Zacatecas, Batopilas, Guanajuato and Mapimí were turning out yet another fortune in silver. The mines at Batopilas, Chihuahua, where the ore was largely native silver, eventually produced 300 million troy ounces of the metal. Over nearly 400 years, the Ojuela mine, at Mapimí, Durango, produced 150 million troy ounces of silver, along with huge quantities of lead and zinc. 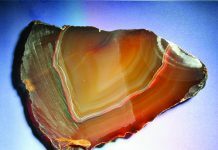 Many mineral collectors today consider Ojuela to be the Western Hemisphere’s greatest source of mineral specimens. 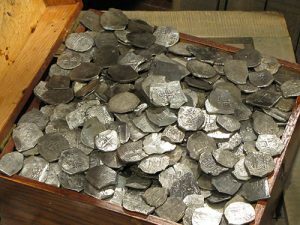 Most of Spain’s enormous colonial silver production was minted into eight reales, the legendary, 1-troy-ounce “pieces of eight” that were circulated around the world. By the time Spain’s colonial empire collapsed in the early 1800s, its mines had yielded 7 billion troy ounces of silver—equaling the total amount that had been mined during the previous 6,500 years. Silver was next discovered in the United States. Gold miners found silver in Nevada’s Washoe Mountains in 1859 by tracing the heavy, bluish sand that clogged their sluices to outcrops of chlorargyrite (silver chloride). Nevada’s Comstock mines were soon turning out 6 million troy ounces of silver each year from ores grading up to 2,000 troy ounces per ton. In the mid-1870s, placer miners near present-day Leadville, Colorado, identified the heavy black sand that clogged their sluices as argentiferous cerussite (lead carbonate), which was rich in silver. By 1880, 400 Leadville mines were shipping 11 million troy ounces of silver per year. Prospectors struck it rich again in northern Idaho’s Coeur d’Alene country, a 16-mile-long, 3.5-mile-wide zone of silver-rich sulfide mineralization that they named “Silver Valley”. Silver Valley eventually produced more than 1 billion troy ounces of silver, and several of its mines are still operating. In 1892, at the Smuggler mine in Aspen, Colorado, miners recovered the largest silver “nugget” ever documented. 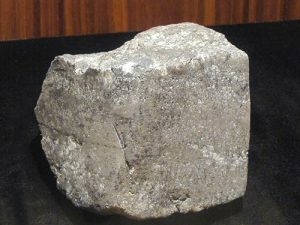 Weighing 2,350 pounds, it consisted of 93% metallic silver and 7% acanthite. The huge mass had to be cut into pieces so it could be hoisted up the narrow shaft. 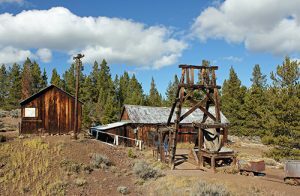 That same year, prospectors made the last great American silver strike at Creede, Colorado, a district that would yield another 60 million troy ounces of silver. 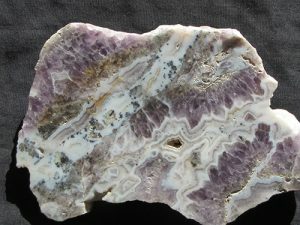 Creede was known for both its native silver and its Amethyst Vein silver ore, the latter with an attractive matrix of amethyst quartz. The flood of Western silver created monetary problems for the United States. In 1873, the country had adopted a bimetallic monetary standard with a 15:1 silver-gold ratio. With the United States Treasury controlling the market and prices of both metals, bimetallism worked well, until the California gold rush and the Comstock silver boom disrupted the balance of its metal reserves. The public’s confidence in silver faltered when the Civil War triggered a run on gold. Congress later passed the Coinage Act of 1873 to demonetize silver, debasing it from a monetary metal to a coinage metal no different than copper. This effectively—but not yet officially—placed the nation on a gold monetary standard. During the 19th century, silver was used mainly for coinage, with relatively little being manufactured into jewelry and silverware. By the 1880s, as mine production soared, the Treasury was awash in silver bullion that far exceeded its coinage requirements. million troy ounces—to support both the silver-mining industry and an artificial silver price of $1.29 per troy ounce. Then in 1893, Congress bowed to political pressure, terminated the Treasury’s purchase obligations, and sent the silver price plummeting to end the West’s great silver-mining boom. After silver had bottomed out at 29 cents per troy ounce in the 1920s, Congress ordered the Treasury back into the silver business. In 1933, Congress repealed the nation’s gold monetary standard, replacing it with a bimetallic-bullion backing for paper currency at 3:1 silver-gold. The Treasury was then ordered to purchase all newly mined silver at 64 cents per troy ounce, paying for it with hundreds of millions of newly printed, paper “silver certificates”. This increased circulating currency and reopened many silver mines, but required the Treasury, over just the next seven years, to purchase 2 billion troy ounces of newly mined silver. Meanwhile, industrial demand for silver had been steadily increasing, thanks to newly developed electrical-electronic applications and rapidly growing photographic uses. Demand increased further after World War II, as consumers with increasing disposable income began purchasing large amounts of silver jewelry and silverware. By the early 1960s, soaring industrial and jewelry demand had driven the silver price to $1.29 per troy ounce, the point at which the value of the silver in American coins exceeded their face value. This led to speculative hoarding and, finally, to the elimination of silver from coinage. With the U.S. government finally out of the silver business, silver became a bona fide industrial metal and a free-market commodity, with its price determined solely by supply and demand. Annual global silver demand has reached an all-time high of 1 billion troy ounces. Industrial uses account for 60% of demand; the manufacture of silverware, jewelry, and decorative items for 20%; and the fabrication of investment coins and bars for 20%. Annual mine supply of silver also stands at a record high of 887 million troy ounces. Recycled metal makes up the difference between mine supply and market demand. Only a third of the silver mined today comes from mines in which silver is the primary economic product. The remainder is a byproduct of mining and processing lead, zinc, copper and gold ores. Silver is often a critical economic component of gold and base-metal ores. For example, galena (lead sulfide) is the primary lead ore mineral. Silver readily substitutes for lead, so galena typically contains some amount of silver. In typical argentiferous galena ores that grade just 1 troy ounce of silver per ton, the silver value nearly equals that of the lead. Byproduct silver also factors into the profitability of gold and copper ores. Mexico has traditionally been the leading source of silver. Its annual production, along with those of Peru and China, now accounts for half of world production. Other important sources are Russia, Australia and Chile. The United States ranks 9th with 3.9% of annual world production. Alaska, the leading silver-mining state, accounts for half of U.S. production through two major mines that each contribute 8 million troy ounces of silver per year: the Greens Creek mine, the nation’s largest primary silver mine; and the Red Dog mine, an underground zinc-silver mine. Nevada ranks second in silver production, turning out 8 million troy ounces per year as a byproduct of gold mining. 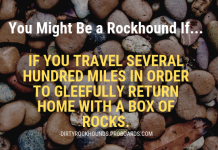 Most of the approximately 200 silver-bearing minerals are rare. Native silver is the most widely collected type. Fine specimens of wire, massive, crystallized, dendritic and arborescent silver have come from such classic localities as Kongsberg, Norway; Batopilas, Mexico; and the Keweenaw copper districts of Upper Michigan. Native silver also occurs as electrum, a silver-gold alloy. Sylvanite (silver gold telluride) occurs as small, silvery-white, monoclinic crystals with a bright, metallic luster. Sylvanite was a major ore mineral in several districts, notably at Cripple Creek, Colorado. 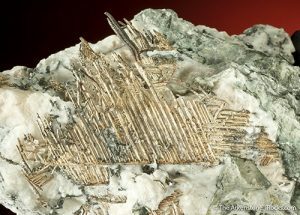 A closely related ore mineral is petzite (silver gold telluride). Chlorargyrite is a secondary mineral that often weathers to a dull luster like that of a cow’s horn, which earned it the nickname “horn silver”. Chlorargyrite occasionally forms yellowish-brown, cubic crystals, but usually occurs as masses and coatings that darken to a purplish-black upon exposure to light. 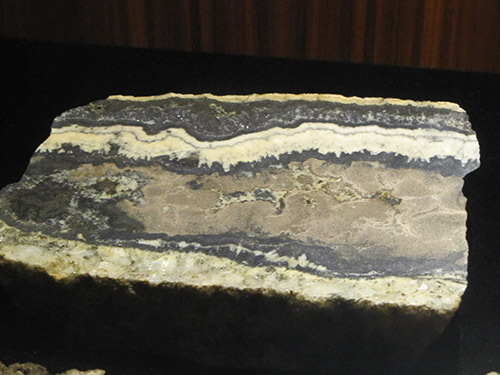 While chlorargyrite served as a primary silver ore in some districts, deposits—though rich—tend to be limited in extent. Acanthite is a major silver ore. It usually occurs in massive forms with a dull, lead-gray color, so is not favored by collectors. The “ruby-silver” minerals proustite (silver arsenic sulfide) and pyrargyrite are popular among collectors. Both crystallize in the hexagonal system as six-sided prisms, and sometimes exhibit dark shades of red. Other interesting silver-bearing minerals that are occasionally available as specimens are stephanite (silver antimony sulfide) and canfieldite (silver tin sulfide). While silver may never shake its derogatory nickname of “poor man’s gold”, it has nevertheless established a distinct identity.